To examine whether metabolic syndrome (MetS) is related to estimation of weight status and weight-loss efforts in Korean adults with non-obesity. In 4345 men and 6387 women in non-obese Koreans (age 49.2 ± 16.7 years, BMI < 25 kg/m2) participating in the 2011–2013 Korean National Health and Nutrition Examination Survey, the presence/absence of MetS using the harmonized criteria, and weight perception and weight-loss efforts using questionnaires were assessed. 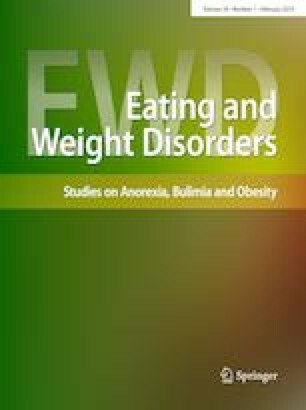 Estimation of weight status was determined as underestimation, correct estimation, and overestimation based on differences between perceived weight categories and BMI-based categories. 15.7% in men and 12.6% in women with BMI < 25 kg/m2 had the MetS. After adjusting for sociodemographic factors, health-related behaviors, treatment of cardiovascular diseases and cardiovascular risk factors, and BMI-based categories, correct estimation and overestimation of weight status in men [odds ratio (95% CI), 1.58 (1.29–1.92); 2.82 (1.48–5.38)], and women [1.53 (1.26–1.86); 1.59 (1.09–2.31)] were positively associated with the presence of MetS compared to those with underestimation of weight status. After adjusting for weight estimation, sociodemographic factors, health-related behaviors, and treatment of cardiovascular diseases and cardiovascular risk factors, weight-loss efforts were positively associated with the presence of MetS [1.66 (1.33–2.08) in men, 1.31 (1.07–1.61) in women] in all subjects, and number of MetS components [1.28 (1.02–1.62) per 1 more component] in those with MetS. In non-obese individuals, correct estimation and overestimation of weight status may be more likely to identify individuals with MetS and concurrent MetS may increase weight-loss efforts regardless of weight estimation. Level III, evidence obtained from a case–control observational study. This work was supported by the National Resarch Foundation of Korea Grant funded by the Korean Government (NRF-2017S1A5B8066096). This work was supported by the National Rsearch Foundation of Korea Grant funded by the Korean Government (NRF-2017S1A5B8066096).